If you’ve ever wondered what are the largest and most powerful economic centers in the world by regions, we will try to answer your question. In the following article we have offered a list of 16 cities, and each of them has a large regional or global importance. The Big Apple is a world class alpha metropolis. It shares with London the top position of the most economically powerful city in the world. The impressive skyline speaks eloquently enough about the unparalleled importance of New York. It’s no surprise that one of the biggest cities on the planet has a very strong and competitive economy. This is a giant metropolis with not only regional but also really great international importance. The island of Puerto Rico has one of the most developed economies in the Caribbean region, and the financial strength of this otherwise exotic place is concentrated in the advanced and highly developed capital San Juan. The huge Brazilian metropolis of São Paulo is the largest urban economy of the South American continent. Besides being the most important economic engine of Brazil, this city turned into one of the world’s fashion capitals. According to some economists, London is the leading global financial center, while, according to others, it takes the second place. However, in both cases the British capital serves as an example for thousands of other cities in the world. Poland’s capital Warsaw is the most powerful economic center in the region of Eastern Europe. This is not surprising, given that the country is probably the largest economy in this part of the world (outside of Russia, of course). Milan has the largest economy not only in Italy but in the Mediterranean region as a whole. The city is a major global financial center. It is more powerful even than Madrid, Rome and the giant metropolis of Istanbul. Stockholm is the city with the most highly developed economy in Northern Europe. That’s pretty impressive, given that in this part of Europe are some of the richest cities in the world. Before and after the Second World War, Moscow is the leading economic center in the region, and today is also one of the most expensive cities in the world. Moreover, Moscow has a strong political influence in the region. Traditionally, most countries in North Africa are developing and have a lot of economic difficulties. Egypt is one of the most developed states in this part of the world, and its power is concentrated in the capital city of Cairo. The South African Republic is the richest country in South Africa and on the continent as a whole, and Johannesburg is the most important and significant economic center of its territory. Furthermore, the city is among the fastest developing in the world. The hectic metropolis on the Pacific coast of Australia enjoys remarkable economic growth, playing the role of a leading financial center in Oceania. The city is comprehensively developed, and it has a very high standard of living. As a result of the huge oil reserves in the area and clever investments, Dubai has managed to become one of the leading financial centers in the world. Developing a strong economy, today Dubai does not rely only on its deposits of black gold. India is among the world’s biggest economies, and the giant metropolis of Mumbai is the most dynamic economic center in the country. In addition, the city has been known for many years as one of the most attractive places to do business. The city-state of Singapore is one of the richest in this part of the world. This is quite impressive, given that Southeast Asia is considered one of the most dynamically developing regions. 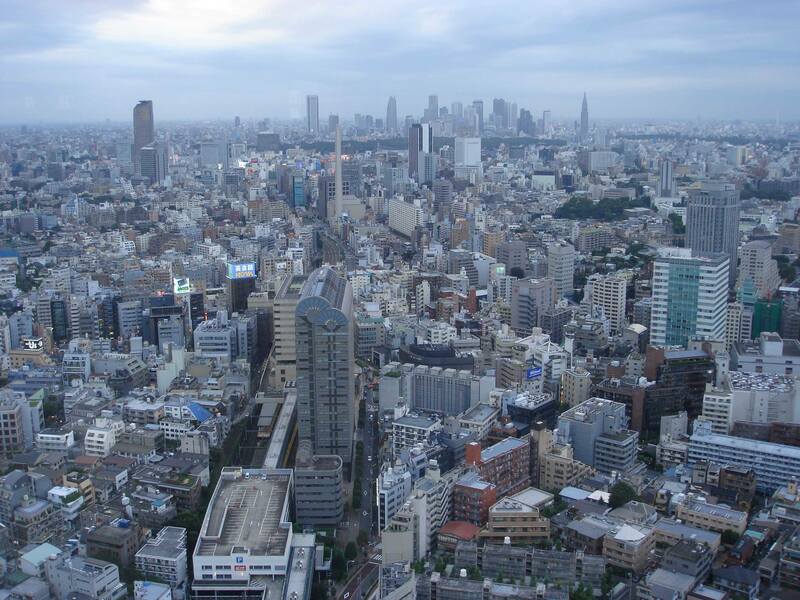 Tokyo, the capital of Japan, is the largest economic giant in East Asia and the third most developed city in the world. It is not difficult to imagine, given that Tokyo is the largest city on the planet.